A detailed story of Crook’s march to the Black Hills was published in the Cheyenne Daily Leader reporter attached to the Crook party. Crook’s Expedition, near Slim Buttes, Sept. 9, via FORT LARAMIE, Sept.16.—The men behaved like heroes, discontented officers alone usually giving utterance to complaint. In the afternoon General Crook determined upon sending forward to Deadwood or Crook City for supplies there to be forwarded, to meet the command at the earliest possible moment. Quarter rations for three days remained, and it was hoped abundant supplies could thus be furnished the troops on the day this scanty allowance was exhausted. Major Anson Mills, of Company M, Third Cavalry, was placed in command of 150 men to make the arduous ride. Fifteen picked men and horses from each of the companies of the Third Cavalry were selected to comprise this force. Thomas Moore had charge of 20 packers and 40 mules to furnish the necessary transportation. The little column filed out of camp under cover of darkness. It was assailed by a drenching rain, and finally halted for a few hours’ rest at midnight, having ridden 15 miles since morning. At 4 o’clock a. m. on the 8th Col. Miles again started forward in the face of heavy rain. The detachment allotted but an hour at noon to make coffee, and yet at 3 p.m. had only proceeded some 25 miles on account of the broken country and miserable footing. At the hour just named, Frank Gruard suddenly motioned a halt from his position a few hundred yards in advance. Coming hastily backward, he announced the discovery of an Indian village. He said it was four miles distant; that they were not discovered, and advised an immediate secretion of the troops in a gully adjacent. The strength of the village could only be estimated by the number of ponies out grazing in the vicinity, as the tepees were sheltered by low hills. Having had instructions to attack any force he was confident of whipping, and being certain from appearances that this one was small, Col. Mills at once determined to strike the enemy. A consultation of officers resulted in the attack being postponed until just at dawn the next morning. At 2 o’clock in the morning a start for the village was effected. An hour of foundering in mud and water brought the column to the hill overlooking the hostile camp. All the cavalry say [save] 25 men dismounted. The latter was to charge through the village under Lieut. Schwatka and sweep out the ponies while the dismounted men were to advance simultaneously on both sides of the village and waylay the retreating savages. The balance of the cavalry horses, with the pack train, under the care of Lieut Bubb were held in the rear of the hill. The men thus occupied weakened the attacking force to 125 men. The column cautiously advanced, and reached the village considerably before day. The ponies belonging to the hostiles were scattered on every hand and immediately commenced neighing the alarm. For fear the savages might escape in lots on account of this exasperated warning, Col. Mills resolved not to delay a moment, and instead, to carry out his plan, ordered a charge, and at the same time commenced an attack from the nearest side of the village. About noon that day, the balance of Crook’s command arrived to ward off a counterattack from the regrouped and reinforced Sioux fighters. 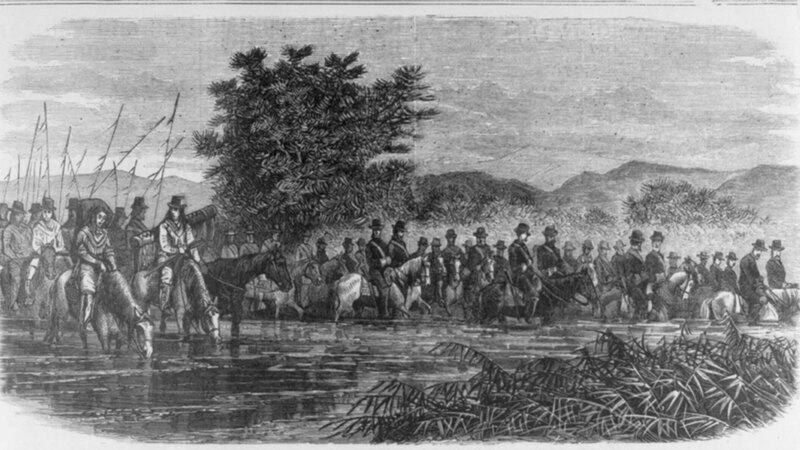 After a two-day battle, the village was captured by Crook’s troops. Upon closer inspection of the village a large number of items belonging to General Custer’s defeated Seventh Cavalry troop at the Little Bighorn were discovered. This, the Battle of Slim Buttes, was described as the first real victory for the Army during the “Centennial Campaign” of 1876-77.